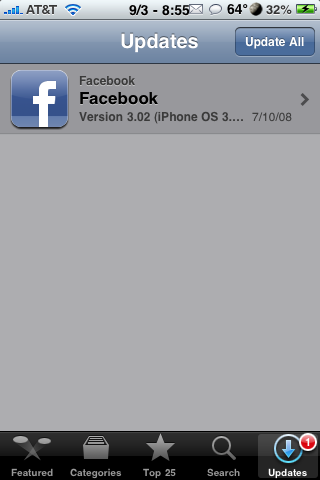 Facebook was updated to version 3.02. The update has bug fixes and adds VoiceOver accessibility support. If you have fallen victim to the new iNav theme craze, you probably know how annoying it can be to have a ton of blank web clips on your SpringBoard. Well, there is a solution, BlankNull. BlankNull is an application that, when installed, removes the “link” on webclips. So, when you miss your icon and tap on a blank icon, it will no longer open Safari. Instead, it will do nothing…it basically turns it into a blank icon instead of a webclip! Pretty cool! 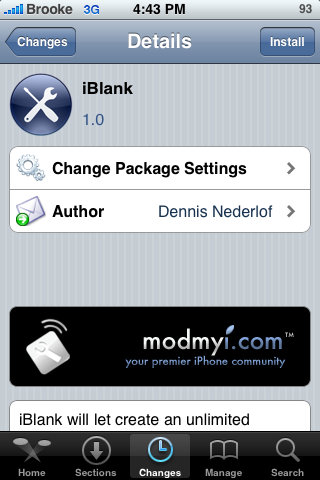 Ok, iBlank has been out for some time now however, it has been a while since I have done a review of it. With all the iNav inspired themes lately, I thought it would be good to do another review of iBlank since it has had some updates since the last time I wrote about it. Most iNav themes seem to install blank icons or web clips when you install/activate the theme. Well, last night, I was settings up a slightly tedious iNav theme (which I will do a review of soon) that did not install blank icon automatically so, I had to use the iBlank application. 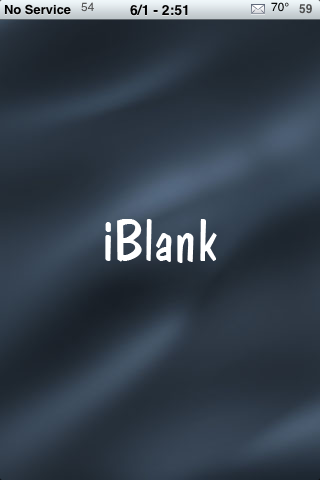 iBlank is an application that allows you to easily create blank/transparent icons. This is ideal for custom modding. I know Doug uses a blank icon under Stack on his dock. It is also nice for lining up your icons exactly how you would like them or use with certain themes. Here is how the app works.